The staff was so friendly and the room was fantastic. We got a private room for three and it was just beautiful. Super comfortable and very clean. Would recommend it to anyone. 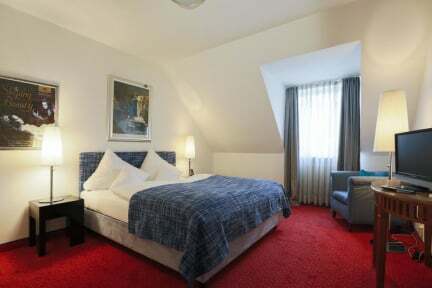 Great hotel at a very reasonable price! Friendly, spotlessly clean, nice breakfast buffet. Just blocks from the U-bahn. Close to restaurants and markets. Save a bundle by staying a bit away from the Old Town! Great place for a single traveler! The decor was really interesting, the breakfast spread was fantastic, and the hotel is located in a great place, only a few stops on the metro from the Hbf and downtown areas. If breakfast is the most important meal of the day for you... LOOK NO FURTHER! Hands down best continental breakfast offered in a budget friendly hotel. They literally have everything you can think of including champagne. 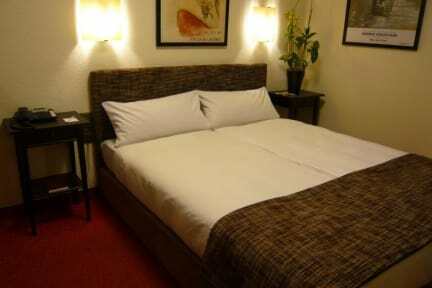 Rooms and bathooms are extremely tidy and the staff are very friendly! Social atmosphere is pretty quiet and the main shopping strip is roughly a 20min walk. Super fast wifi as well. Would highly recommend to anyone looking to start their day on the best note moving forward! I loved the atmosphere very relaxing. The breakfast was excellent and the breakfast room very well decorated. Lovely hotel and great value for money. The breakfast especially was incredible! The staff were also very friendly and helpful. Hotel Nymphenburg was great! Had everything that we needed. The free sparkling water and cheap but nice breakfast buffet every morning was really convenient. Staff were kind and helpful. We stayed here for Oktoberfest and overall it was nice! The neighborhood is a little outside the main center and the hotel is a little old fashioned, but this also kind of adds to its charm! The hotel staff is super nice and the breakfast was great. Rooms were a little stuffy, but clean! I think it was a little overpriced because I was there for Oktoberfest, but it's likely lower during the main non-holiday season.